Randall Stephenson’s $85 bln deal to buy Time Warner is now embroiled in Trump’s feud with the news network. Unless CNN President Jeff Zucker goes, the administration may not sign off, a media outlet reported. That suggests an abuse of power that demands stiff resolve from AT&T. 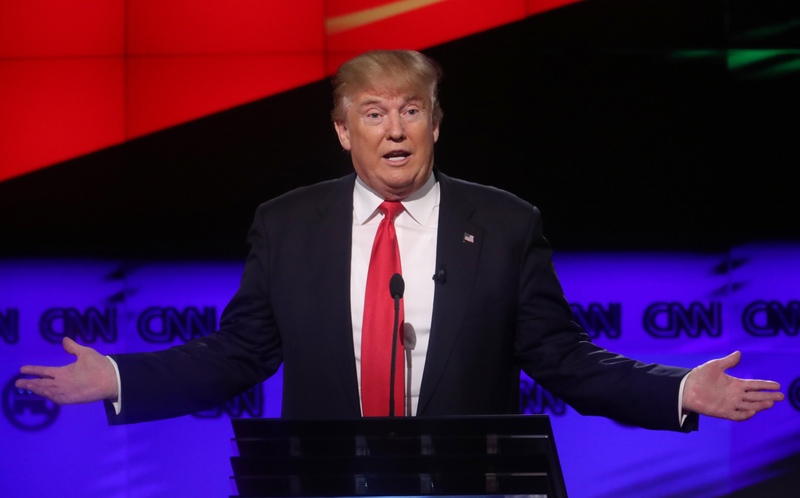 Donald Trump speaks at the Republican U.S. presidential candidates debate sponsored by CNN at the University of Miami in Miami, Florida March 10, 2016. President Donald Trump will not support the $85 billion merger between Time Warner and AT&T if Jeff Zucker, the president of Time Warner’s CNN, remains in charge of the cable news network, The Daily Caller reported on July 6, citing an unnamed White House source. Trump, who frequently criticizes the 24-hour news network, on July 3 tweeted an old video clip of himself wrestling a person to the ground, with a newly superimposed CNN logo on the individual's head. He also used the hashtag #FraudNewsCNN. Time Warner shareholders on Feb. 15 agreed to merge with AT&T. The deal is pending approval from the U.S. Department of Justice.